I just want to start by talking about my skin and acne. I have combination skin (a common type), where I have dry-ish cheeks and an oily T-zone (forehead, nose, chin). I tend to get 1-2 nodules or cystic spots a week, usually just before the monthly bloody war *ehm, my family's nick for that special season* or following night shifts at work. I also have many tiny blackheads that inhabit my little nose. This inexpensive face mask comes in a large squeezy tube. 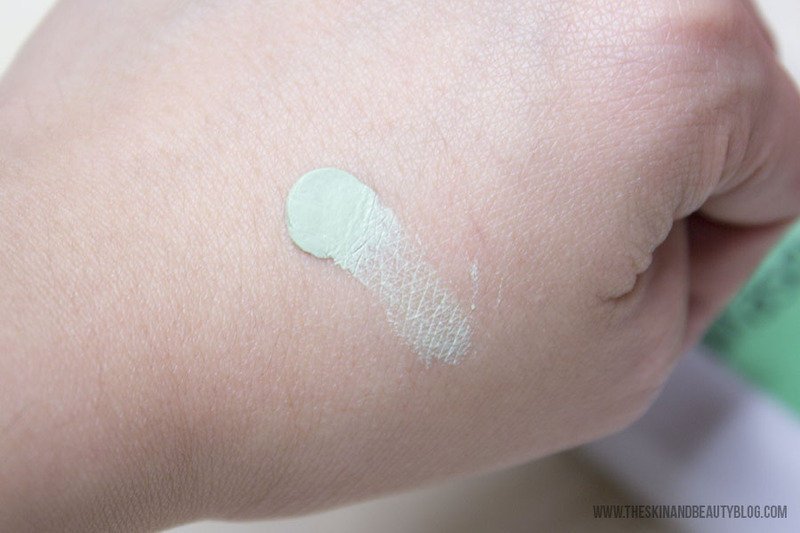 The green paste is quite thick that makes it difficult sometimes to squeeze the product out. Lacking adequate or any gym exposure spurns my creativity, I have resorted to various means to squeeze the product out - including a large textbook and some controlled heel pressure. Once you get some green paste out, you immediately notice the strong minty smell, reminiscent of strong toothpaste. Refreshing, calming, and familiar toothpaste. I find the best way to apply this or any cold face masks for that matter is with a cold metal spoon. Spreading it on your face is such a treat, despite some difficulty squeezing from the tube, it is surprisingly easy to smooth a thin layer on the face. Just don't apply too much - it might sting a little. While watching some tele, listening to some music or reading my kindle, I let this stay for about 45 minutes to an hour. After this time, the face mask usually dries and is ready to remove. I wipe this away using a damp wash cloth. This reveals dried up spots and a diminished blackhead population like magic! I can definitely see visible improvement in my acne, and also it minimises the appearances of pores, revealing glowing skin. Reasons why I would only limit using this product to emergency situations is because it can be quite intense and has drying agents which can irritate skin, causing stinging and redness. Therefore, limit using this to 1-2 times per week. Avoid this on dry, cracked and sensitive skins. I know some people sleep with this product on, but I honestly cannot stand the flakes of dried up mask on my bedsheets, so I don't. For overall face use, one hour of product on my skin is enough for me. If you use it as spot therapy, you can cover it with some squares of cling film taped onto the skin to prevent it from transferring. 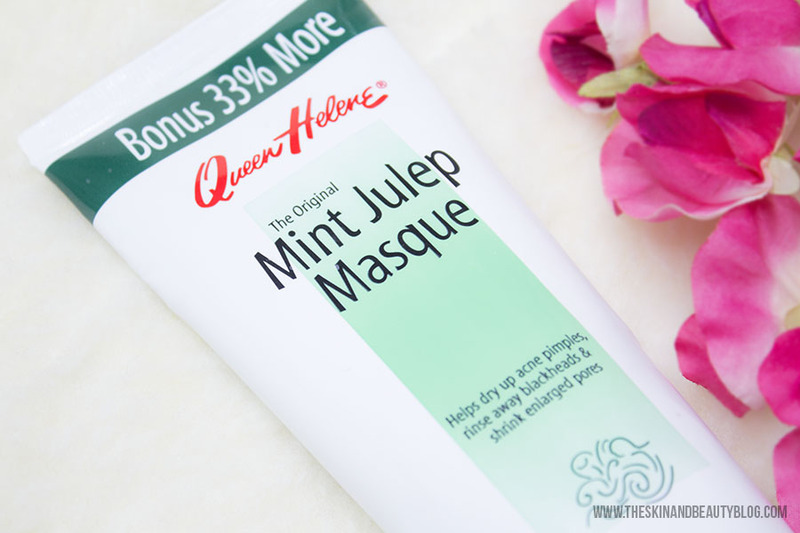 Overall I definitely recommend the Queen Helene Mint Julep Masque. It is quite cheap, I pick mine up from Amazon.co.uk for approximately £4.50 including shipping! If you have oily skin and are continuously struggling with acne and blackheads, definitely give it a go - for the price and product AND amount of product you will not regret it! Very nice review!. Love your tip about using a cold spoon to apply it. 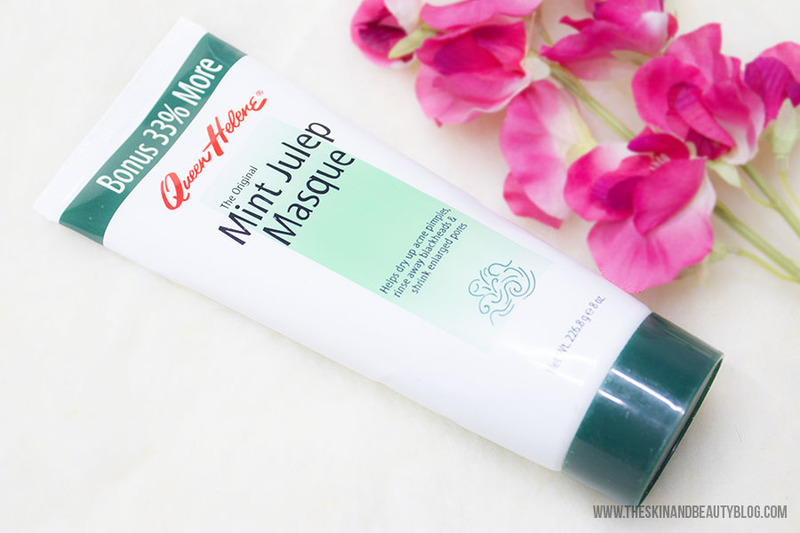 I have been hearing a lot of great things about this masque. Btw, I highly recommend you buy this from iHerb. It's only $3.84 there. Link is http://www.iherb.com/queen-helene-the-original-mint-julep-masque-8-oz-226-8-g/5796?rcode=scz695. It's an excellent site based in US. They do ship worldwide. Btw, I love the way you presented this post. Pretty pix!